Wellness Wednesdays: Is Tofu Nutritious Enough to Replace Meat? 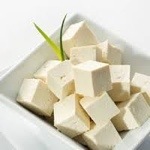 The Health Benefits of Tofu: Is it Nutritious Enough to Replace Meat? Prep Day: Boil rice stick noodles for 2 minutes or until just soft. Rinse under hot water and drain. Toss noodles with oil and keep warm. To prepare sauce, mix vinegar with curry powder and turmeric until blended. Add soy sauce, oyster sauce, Sriracha, and ketchup, mixing well. Set sauce aside until needed. Fry cubed tofu with oil until cooked through. Add garlic, cabbage, tomatoes and carrots and cook for one minute more. Stir in sauce mixture until everything is evenly coated. Cook for 1-2 minutes more or until dish is heated through. Toss noodles with chopped scallions, cilantro and sesame oil. Divide cooked noodles mixture among 4 freezer quart size bags and freeze. Packaged for individual servings. Serve Day: Thaw. Reheat in microwave for 1 minute.